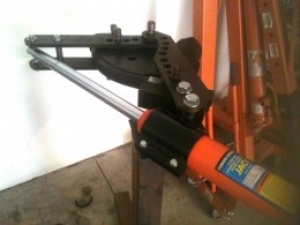 Homemade conversion of a manual tube bender to hydraulic power utilizing an off-the-shelf cylinder. That is very slick. Nice!